Will ethanol be a part of Sully County’s future? Voting is underway in Sully County until county-wide election day on June 16th as residents decide whether or not the county wants to take advantage of a new multi-million-dollar, value-added economic development opportunity. The project being proposed is Ring-Neck Energy and Feed, an ethanol plant with ready investors who stepped up and are willing to put millions of dollars into the community of Onida to produce clean-burning fuel and high-protein livestock feed. The issue that citizens are voting on is whether or not the proposed ethanol plant site should be rezoned. You can read more about that here. South Dakota was built on value-added agriculture and this ethanol plant continues in that tradition of utilizing renewable resources in ways that improve the world around us. 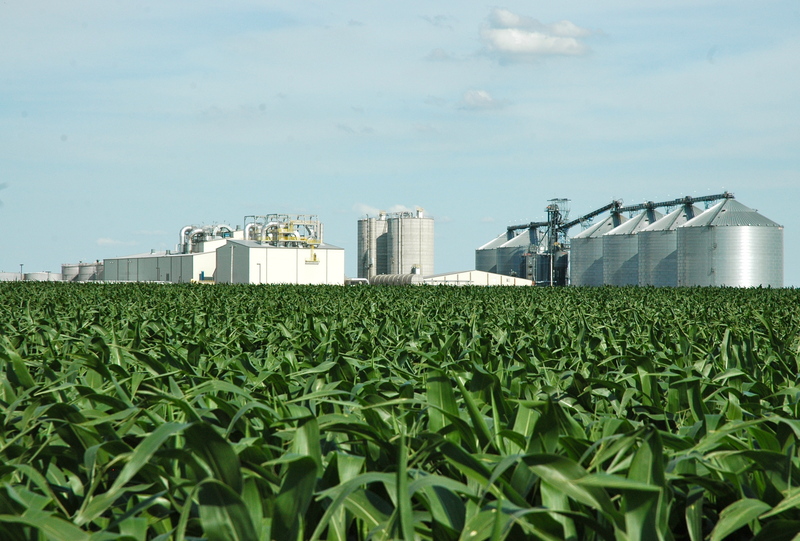 This ethanol plant would consume nearly 22 million bushels of locally grown corn each year along with some sorghum and create around 70 million gallons of ethanol fuel and 200,000 metric tons of livestock feed. Ethanol fuel helps save drivers money, naturally increases gasoline’s octane, reduces carbon emissions and boost our nation’s energy security by decreasing the need for foreign fossil fuels. The co-product distillers grains aka livestock feed provides a high-quality and efficient ration for livestock folks in South Dakota and all around the world. This state-of-the-art ethanol plant would create 40 full-time jobs requiring highly skilled and educated professionals. These positions would be highly competitive as the average South Dakota ethanol employee salary sits at about $60,000 per year. Jobs like these give educated young people a chance to return to their roots in rural South Dakota to raise a family and earn a comfortable living. Who else would benefit from the ethanol plant besides corn farmers and ethanol plant employees? The honest answer would be everyone. The addition of an ethanol plant to the town of Onida would bring more customers to main street businesses, raise real estate values, increase the tax base and provide a funding boost to public education. What needs to be seriously considered in this whole matter is just how often an opportunity like this comes along for our aging, rural South Dakota communities. For most, the answer is never. But the folks in Sully County have the rare opportunity to embark in long-term economic growth that will last for generations into the future. A “YES” vote means they would be in favor of rezoning a parcel of land on the edge of Onida, ensuring that the projects goes forth. The ball is in your court, Sully County voters. Will you decide to push it forward or sit on it? This entry was posted in News and tagged corn, economic development, ethanol, farm, jobs, South Dakota, Sully County.